Shibula Lodge and Bush Spa, is a five star accredited lodge in the Welgevonden Game Reserve in Limpopo Province, South Africa. Shibula offers offers the discerning visitor Africa in all its untamed magnificence, along with truly superb standards of hospitality. Shibula Lodge was voted by Getaway as one of the top 10 most romantic destinations in South Africa, and by Elle and Marie Claire as one of the "Pick of the Best" Bush Lodges. This malaria-free reserve, where the big five (Lion, Rhino, Buffalo, Elephant and Leopard) roam freely, is home to an extraordinary diversity of plant and animal wildlife, as well as more than 350 species of birds. 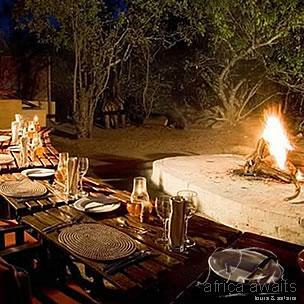 Guests are assured of exceptional game viewing. Including some of the best Rhino sightings on the continent. A large variety of different antelope can be seen. Rare game species includes Aardvark and Brown Hyena, Eland, Gemsbok, Tsessebe and Bush Pig. 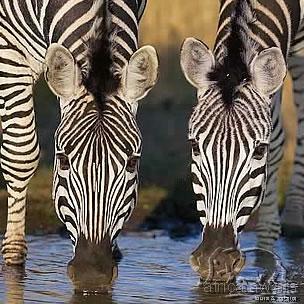 Night game drives give the visitor an experience of South African nocturnal wildlife. Recently hippo and more cheetah have been introduced to the reserve. Each suite is individually furnished in a different style and each room has a décor style, which reflects the name of the unit. Shibula consists of 8 luxurious suites, each with its own individual style & special features. All are fitted with aircons for your convenience. Suite 1, 4 & 5 boasts a Jacuzzi and suites 6 & 7 have their own private heated pool. Satellite television reception available in suites 6, 7 and 8. Shibula's interior has a classic, ethnic feel. Each piece is hand-picked and the special attention to detail gives Shibula its unique atmosphere. Dine in an intimate wine cellar, enjoy starlight boma dinners, with traditional potjiekos and other Gourmet dishes and be entertained by our resident Shibula singers and dancers. The main deck overlooks the waterhole while listening to the nightly antics of the resident baboon troop. Dining at Shibula Lodge is a pleasing experience which includes breakfast after morning drives, lunch, snacks, salads & buffet, exciting evening meals which can either be in the main lodge, star-lit boma or in the wine cellar. Our own specially designed wine cellar compliments the healthy, distinctly African-inspired freshly prepared cuisine by our chef. The wine cellar is stocked with an excellent selection of South African award-winning wines. The owner of Shibula, Francois Klomp is also the owner of The Freedom Hill Wine Estate. He is personally involved in our wine selection. Visit www.freedomhill.co.za for more information. 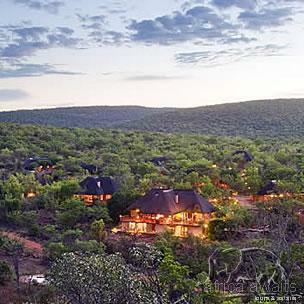 With your holiday, safari or business trip from in to Shibula Lodge in Waterberg.